Joe Stepped off the train: a short story collection. Thanks ShortStops! This new collection is out on Monday 4th April. 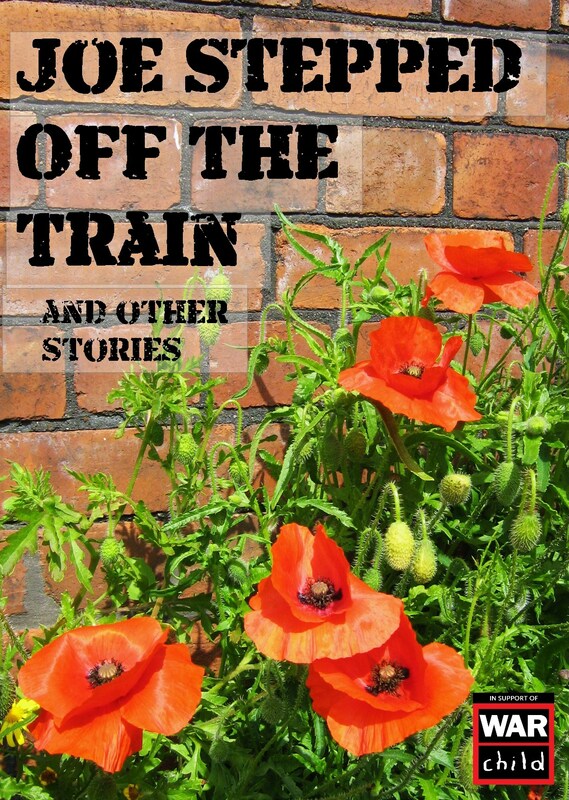 Joe Stepped off the Train (and other stories) is a collection of short stories by debut and established authors, all with a war theme: how it affects people and changes lives. It started life as a short story “conversation” between Steven Kay and a colleague, Elizabeth Thomas, following a short story competition at work for which they both chose the same starting line from the given list (The “Joe Stepped off the Train” of the title), and both coincidentally chose a war theme. They got to eight stories but then fizzled out. So, in the summer of 2015, Steve put out an appeal on social media and the blogosphere, taken up by ShortStops asking writers to contribute: the idea being that all royalties would be donated to War Child. 24 stories were collected in a genuine collaborative effort. What a nice bunch of people writers are! Please support it.